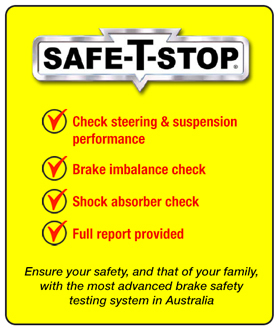 Safe-T-Stop can detect dangerous side-to-side and front-to-rear brake imbalances, check steering and suspension performance, and measure the rebound of all shock absorbers. The test can be done while you wait and a full report is provided upon completion. For a limited time only, Jarvis will perform a Safe-T-Stop test on your Skoda for FREE with every Skoda Manufacturer's Service carried out (normally $35.00).